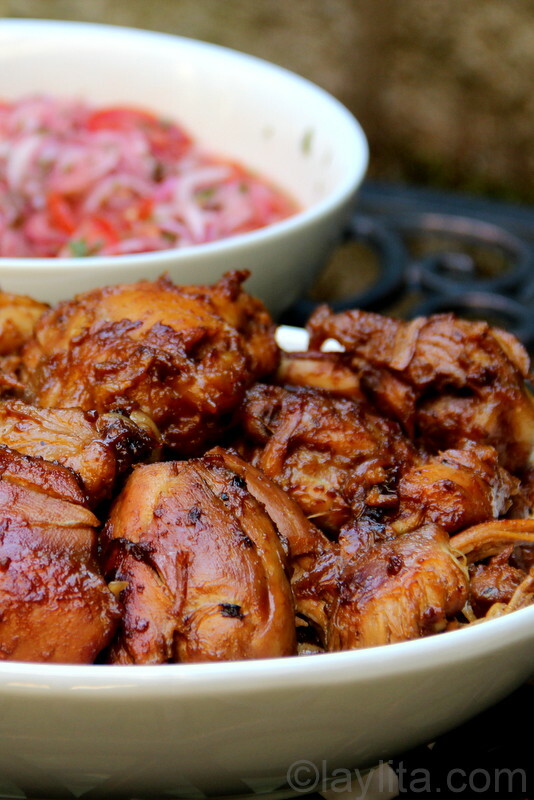 Fritada de gallina is a delicious and tender Ecuadorian chicken dish prepared by cooking chicken in a sauce made with chicha or fermented corn drink, garlic, onion and cumin until the liquid is gone and the chicken is golden brown. 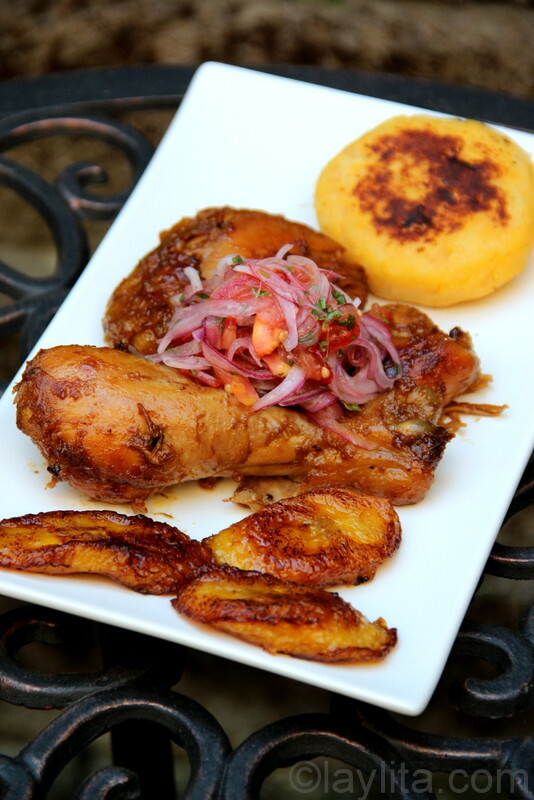 Traditional fritada is an Ecuadorian dish prepared by cooking pieces of pork in water and orange juice with garlic, onions and cumin. The meat is cooked until the water is reduced and the pork gets browned in its own fat. 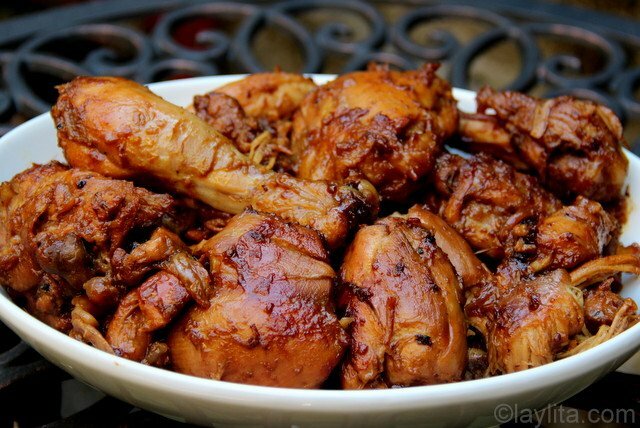 The result is dish with very tender meat and full of delicious flavor. The word fritada translates a fry-up, however I find that name misleading as no additional grease is added and the meat cooks in its own fat. 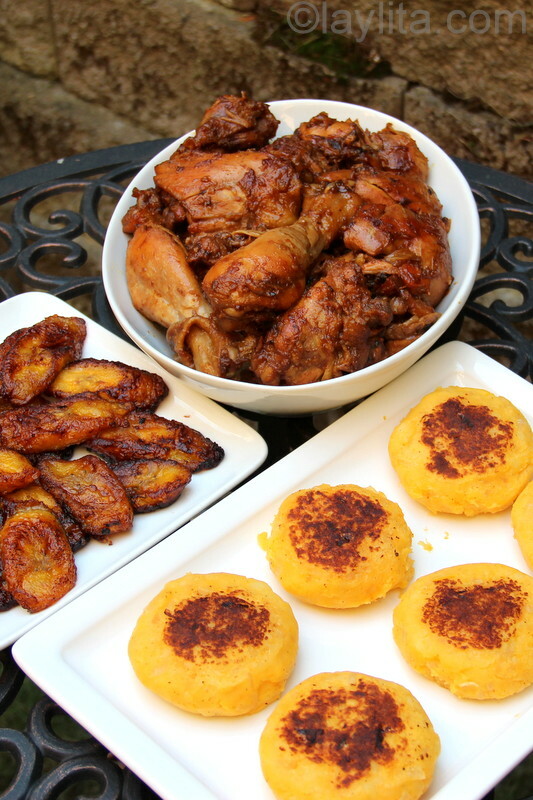 This recipe for fritada uses chicken (gallina) instead of pork and is cooked in chicha, a fermented corn drink, instead of water and orange juice. 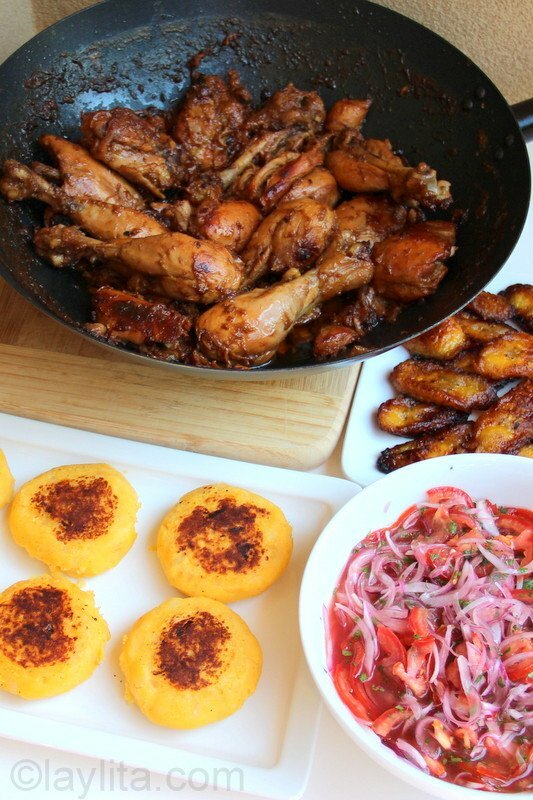 I adapted this recipe for fritada de gallina or chicken fritada from Michelle O. Fried’s Comidas del Ecuador: Recetas Tradicionales para Gente de Hoy. Her book (in Spanish) is a great source for traditional Ecuadorian recipes, my mom got it for me a few years ago and her recipes are the most authentic ones that I’ve found in any cookbook and are the closest to the meals that I’ve had at home in Ecuador or at the homes of friends in Ecuador. 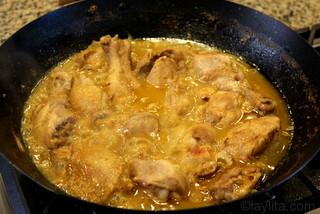 I’ve made this chicken fritada several times and it has become one of my favorite ways to cook chicken. This fritada de gallina has also earned me many compliments from guests who I’ve served it to. 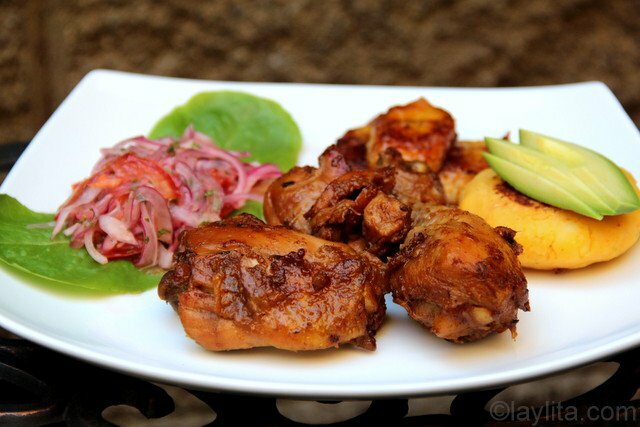 Fritada de gallina is a delicious and tender Ecuadorian chicken dish prepared by cooking chicken in a sauce made with chicha or fermented corn drink, garlic, onion and cumin until the liquid is gone and the chicken is golden brown. 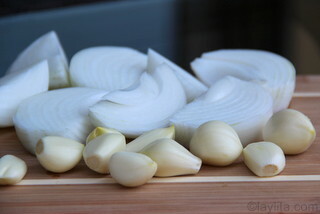 Mix the crushed garlic (1 head) and cumin with the chicha or wine/orange juice spice mix. 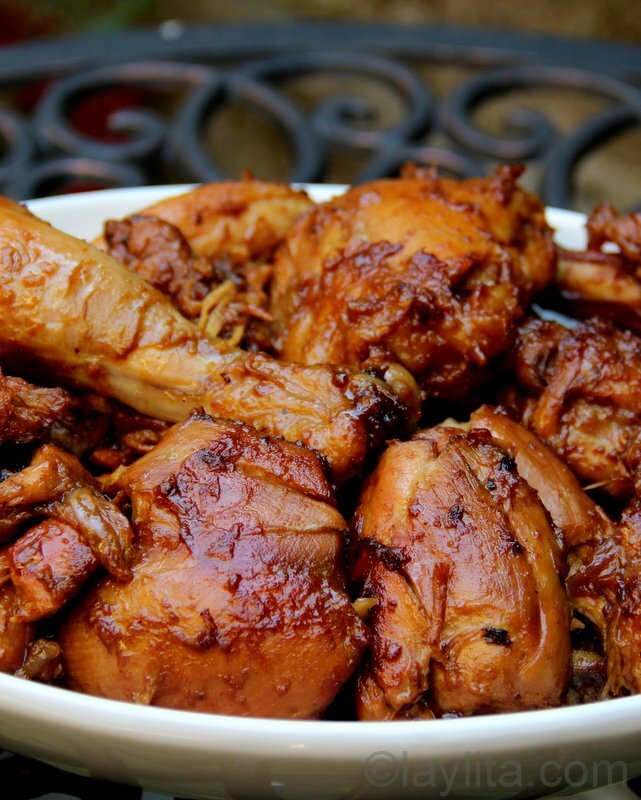 Marinate the chicken pieces in the liquid marinade mix for at least 1-2 hours, overnight is ideal. Cook over low medium heat, should be lightly boiling most of the time, for about 1 ½ hours or until the liquid starts to reduce, stir occasionally. Continue cooking for another 30 minutes, but keep a close eye on it from this point, stir more frequently. 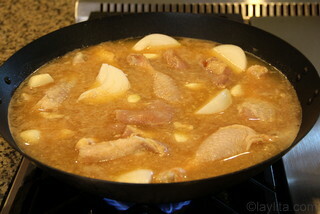 Reduce the heat to low until the liquid is gone and a small amount of grease (from the chicken) replaces the liquid. Stir frequently to keep the chicken from burning and cook for about 20-25 minutes or until the chicken pieces are browned. 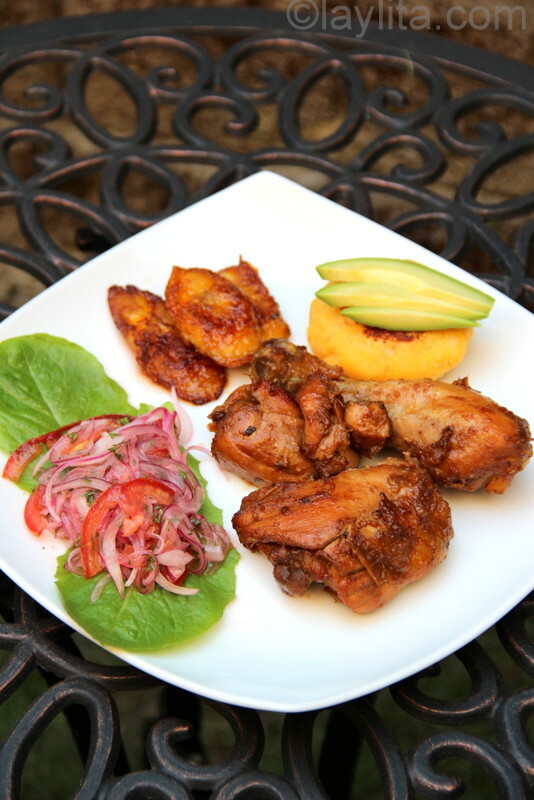 Serve with fried or baked ripe plantains, llapingachos or potato patties, tomato and red onion curtido salsa, avocado slices and aji or hot sauce. 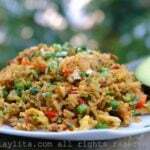 The chicken fritada can also be served with mote or hominy, boiled yuca or rice instead of the potato patties. 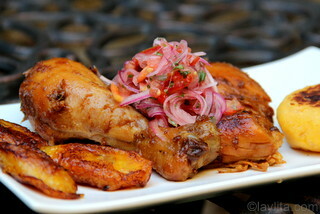 I like to call this my carishina version of fritada de gallina or Ecuadorian braised chicken in chicha. Carishina is word in Quechua or Quichua that refers to a woman who isn’t that great at domestic activities, especially cooking. 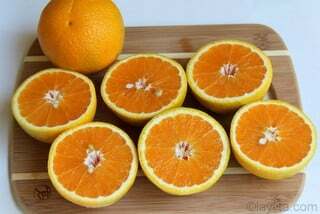 Carishina means that you take shortcuts when cooking and don’t follow all the rules. I do a lot of carishina type things in the kitchen: I don’t remove the seeds from tomatoes or cucumbers, I don’t peel the skins on the chochos, I make mayonnaise in the blender, I even make lemonade in the blender, and I hate doing the dishes. My mom just called it laziness. When I first learned to cook I always tried to everything the non-carishina way and followed all the rules. Then I started questioning the rules, do I really need to remove the seeds from the tomatoes, why? If I didn’t materially change the flavor of the dish and added more work than value, or I was simply in a hurry, then I stopped following the rules. I agree that in some cases the rules do make sense, and the dishes do need to get done, so I balance my level of carishina-ness as needed. 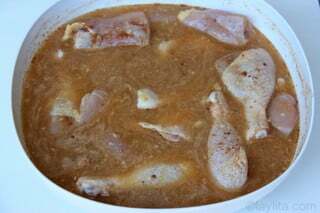 The original recipe recommends marinating the chicken in a chicha garlic marinade for 1-2 days prior to cooking, I let it marinate once overnight, but most times I just marinate for a couple of hours – this is my first carishina strategy. Chicha is a fermented corn drink made with a variety of corn called jora. Chicha is very popular in the Andes, both Ecuador and Peru. The original method for making chicha was by chewing corn in one’s mouth, then spitting the chewed corn into a clay pot with spices, fruit juices, water and herbs, where it ferments for several days. The current day method uses ground corn flour (instead of chewed). Michelle’s book actually has a recipe for making chicha de jora, but I was too carishina to make my own. I can sometimes find chicha at the local Latin grocery stores, and the first time I made this dish I did with store bought chicha. The following times I experiment with different replacements for the chicha. My most successful replacement was to replace the chicha with a mix of white wine, orange juice and spices. 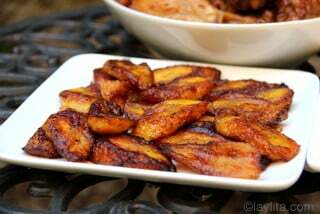 A mix of beer, orange juice and spices is also a good substitute for chicha. Obviously these substitutions are the second part of my carishina strategy. 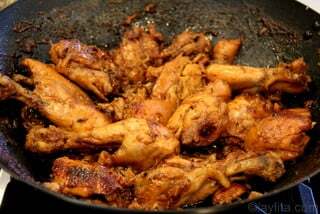 You can use chicken pieces with or without the skin, I’ve prepared it both ways and both are delicious. Since no additional oil or grease is added to the cooking process I do prefer to use some pieces with the skin on to provide some natural grease that to help the chicken brown better, but either way is fine. The original recipe adds lard to the dish at the end when the liquid is reduced. I actually love cooking with lard; however I found that even the skinless chicken had enough natural fat that the lard wasn’t needed. If you feel like it need more fattiness, but don’t want to use lard you can also use butter. 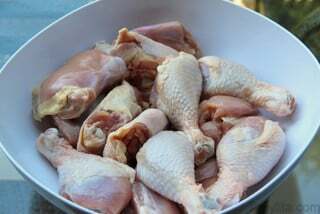 Even though it might be easier to use boneless chicken, I would recommend using some pieces with bones, as they add more flavor to the dish, by the time the chicken is ready the meat will easily fall of the bones. 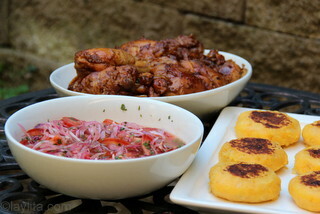 Fritada is served with a variety of side dishes, you can serve it some or all of the following options: fried ripe plantains, llapingachos or stuffed potato patties, boiled yucas, mote or hominy corn, Ecuadorian style rice, lime marinated onion and tomato salsa, avocado slices and aji criollo or hot sauce. 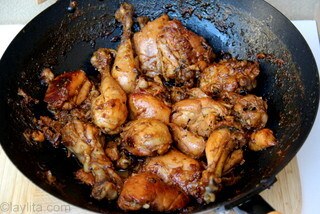 Michelle’s recipe also mentions that this dish can also be prepared with rabbit or cuy (guinea pig) instead of chicken. I just got back from taking my students to Ecuador and have been missing the food so much! I found your site and love it. I made fritada, llapingachos, mote, salsa de mani, and the red onion salsa last night. All were delicious. Thank you for sharing these recipes with us! Wow. 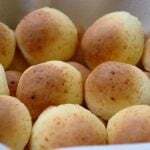 Once again another amazing recipe. I made this tonight and it was so delicious. The liquid reduced just as described and as the chicken browned I was left with delicious caramelized onions and garlic. So so so good. Hubby loved it again too. My husband and I lived in the Oriente for a couple of years with a group of American and Equadorian missionarys. ( 40 years ago) I only had a few Equadorian dishes but the one I could never find was one the teachers brought to a pot luck. It was a baked chicken in vinegar, water and garlic. That was all they told me but I could not get it to taste like theirs. One of the ladies told me they did this when the chicken was old and tough. I wonder if you knew this one or is to country for your style. Hi Mary – I don’t know this dish, but I’ll have my mom ask some of her friends. I do know that the vinegar could be the key, for example my mom makes vinegar from bananas and it is amazing in meat marinades, but there’s no way to bring some back to the US (it would explode with the air pressure) and I can’t find anything that resembles it here. 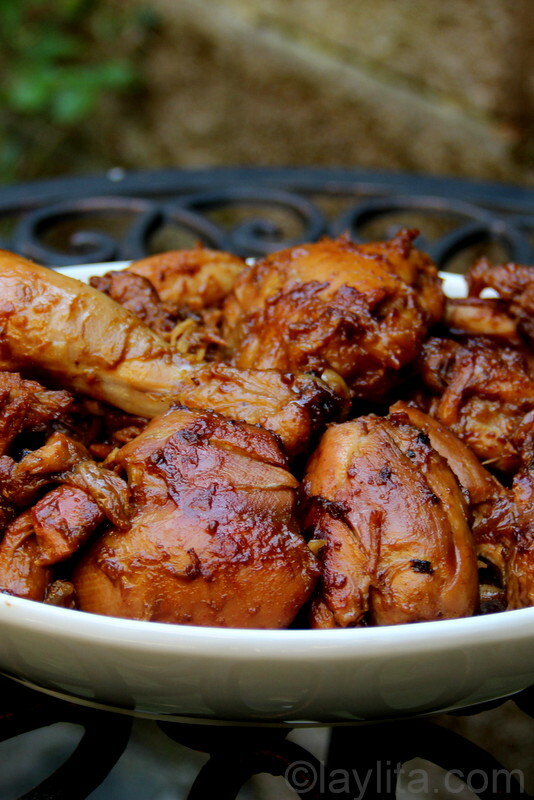 this chicken dish u write of here with vinager mary sounds more like a portuguese adobo.are usure thats not what this is? 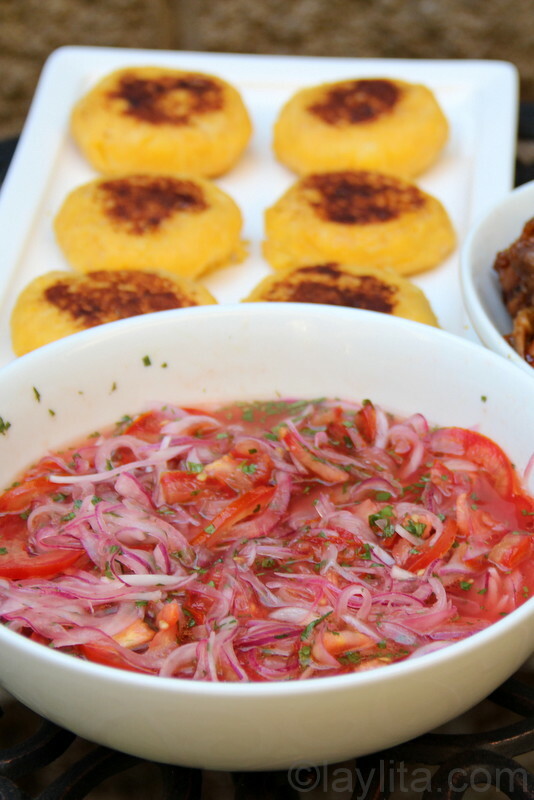 I´ve traveled and eating intensely in the Oriente (the Amazon area of Ecuador) and have never heard of that recipe. Interesting that it uses vinegar which traditionally didn´t even exist in Ecuador. 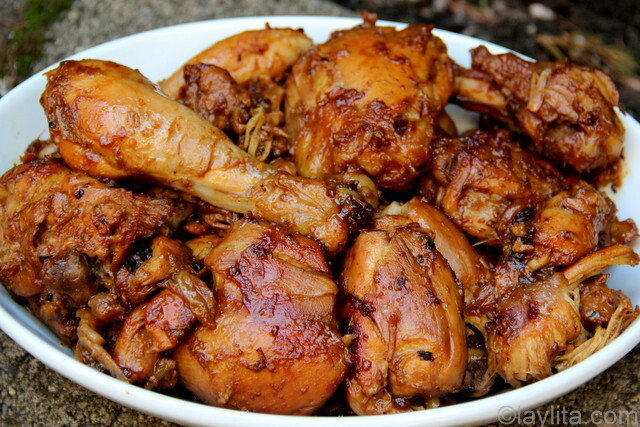 I´m guessing it is an adaptation of a Filipino recipe called adobo, which the teachers perhaps learned from some missionaries. Hi Kellito – Yes, the book has a recipe for chicha de maiz (corn chicha). Though in Ecuador, corn chicha is more popular in the Sierra and is actually thin, in the coast they make chicha with oats or with rice that tends to be thicker like the one you described. This sounds good. Ran into the kitchen to start the marinade! carishina literally means like (shina) a man (cari/q’ari); that’s a funny take on the usual misogynist kitchen humor…i’m going to make my boyfriend cook this for me, i think. This looks so good! 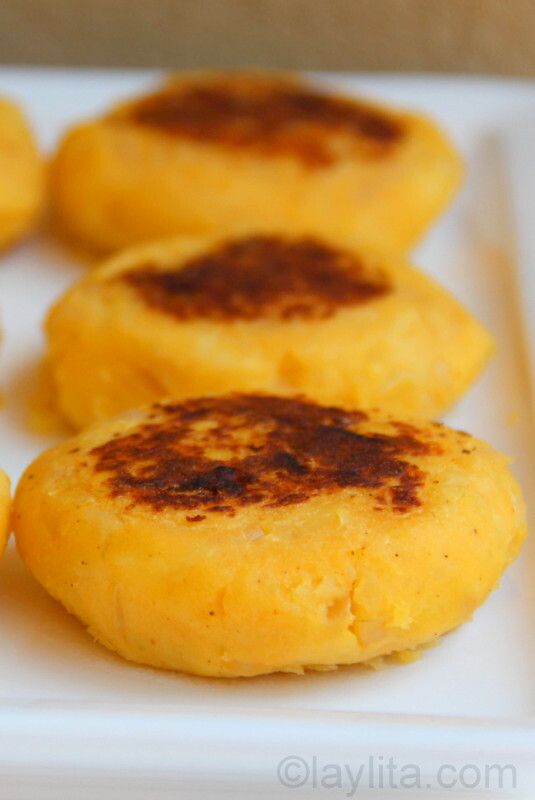 When I was in Ecuador, I loved the fritadas that I tried – but unfortunately, they were a little rough on my tummy. This would be a great way to try them again, and I think I will make them soon! Delicious, your recipes are my inspiration to cook. thank you!!! I always enjoy everything you post. This is no exception. I can almost taste the chicken and those delicious side dishes. 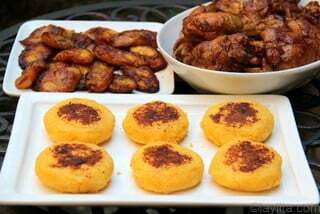 Me has dejado con una ganas…This looks so good mu mouth just waters…Que rico!!!!!! Wow, this looks so good. I cant wait to try it!